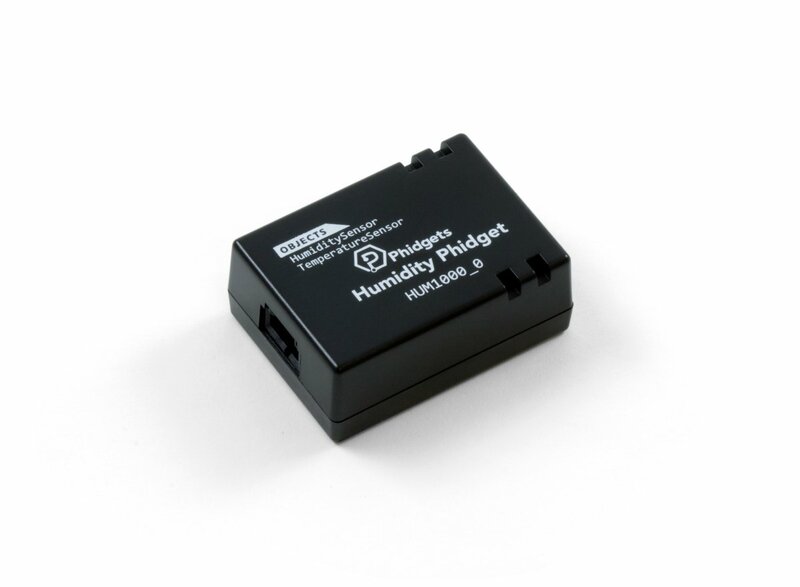 A must-have for any environmental control or weather station applications, this humidity sensor measures relative humidity from 0% to 100% in non-condensing environments. This low-cost module also comes equipped with a temperature sensor that can measure from -40°C to +85°C, making it well worth the port it occupies on your VINT Hub. See the Connection & Compatibility tab for a list of Hubs. If you're interested in this board solely for its temperature sensing capabilities, you're better off getting the TMP1000 - Temperature Phidget. Connect the HUM1000 to the VINT Hub using the Phidget cable. Now that you have everything together, let's start using the HUM1000! 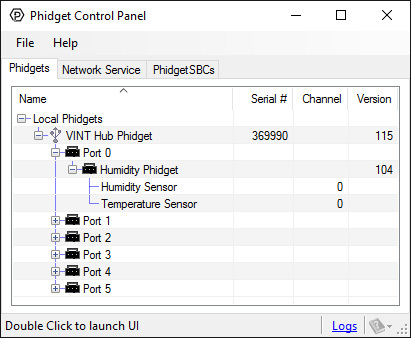 In order to demonstrate the functionality of the HUM1000, the Phidget Control Panel running on a Windows machine will be used. Linux users can follow the getting started with Linux guide and continue reading here for more information about the HUM1000. 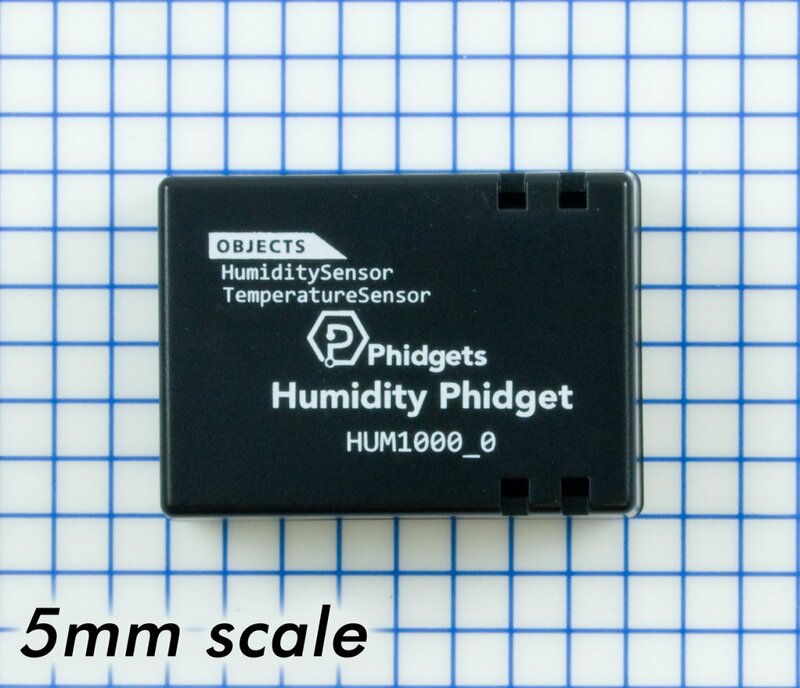 This Phidget is compatible with the HumiditySensor Examples and the TemperatureSensor Examples. 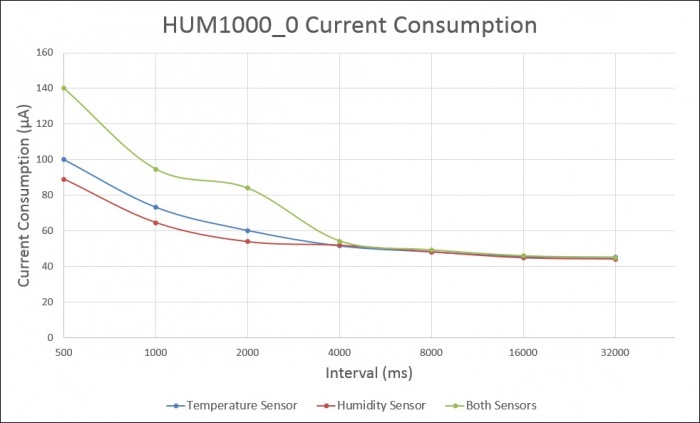 The HUM1000's current consumption depends on which sensors are configured, and what the data interval is set to. If neither of the sensors are configured or opened, the device will consume approximately 43µA.